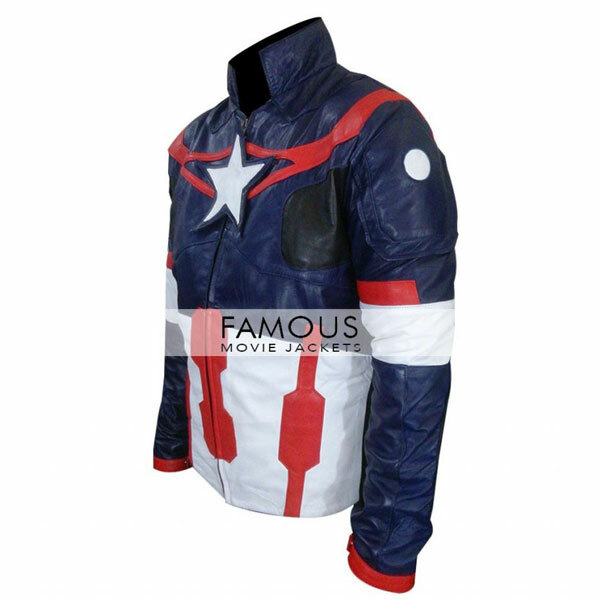 There has been nothing more sensational than this as this amazing Chris Evans Avengers Age of Ultron Jacket Costume is easily the hottest outfit in the market right now. 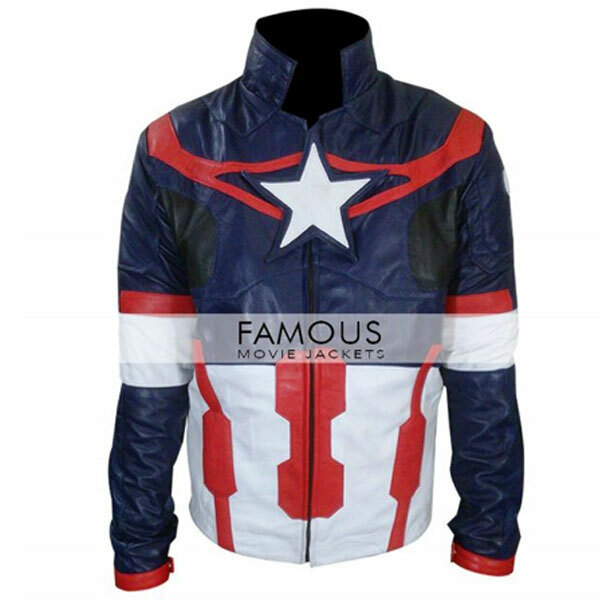 The jacket is a must buy for every Chris Evans fan as with this costume of his ON, you would be perceivable and would look highly stunning. If you want to be an irresistible figure in the crowd then you seriously need to consider buying this jacket. Made form 100% genuine leather and having polyester lining on the inside which makes you feel comfortable all the time, it is surely going to be plus point in your personality. The stylish star along with alluring craftsmanship that has been done on the jacket will set you out of the crowd and will surely give you the look that you have always cherished. So come and have this jacket because not having it would easily be a disaster. 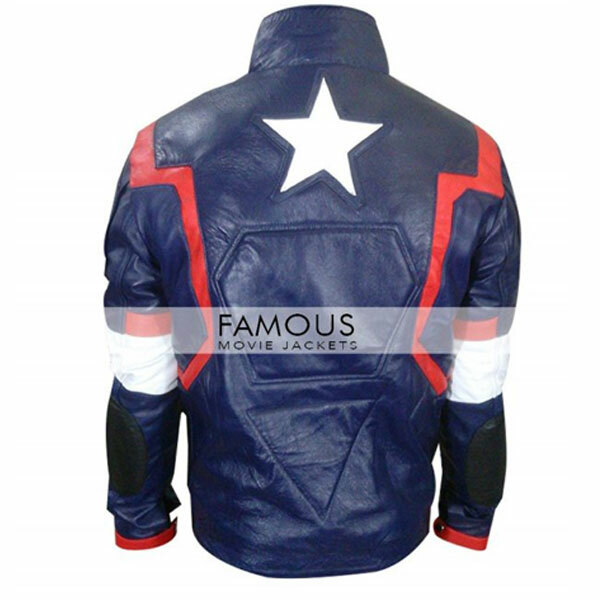 looking for some thing awesome, this avenger age of ultron movie is really a blockbuster movie, after watching this movie i think that to buy this costume, and successfully got the perfect one, fine stitching with high quality material make this outfit very attractive looks, thanks to you guys to make this Chris Evans Jacket very eye catching. Extremely fabulous color and material, i was not expecting that my order was delivered to me such quick way. my item is in faux material but as compared to any other jacket its very good. I could not find anything better to spend on that this jacket. What I most love about it is the leather which feels so real and amazing. Thanks for the great outfit. I just love it. Apart from your delivery service, everything about the jacket is great and I am totally convinced with you guys, you guys deserve the compliment. This Avengers Chris Evans Costume is a great one of any other costume and jacket before, red and blue combination make this outfit more cool and decent with finishing touch no doubt this costume rank number 1. Awesome jacket I am in love with this. The fitting size quality everything is beyond my expectations. It is great and everyone just stared at me at the friendâ€™s party when I was wearing this. Thanks a lot guys. jacket arrived to me before my expectation, it’s better than the image on website and excited to wear in tomorrow party organize by my friends one of my friend marry next week. standard quality leather material used in this jacket i found my order heavy and according the design that i see here. i was little bit worried about sizing but it fit accurate. to me he’s a great actor but also he has a long way to go as well. i hope he continues to burn very bright in the future.. highly recommended it all… awesome chris evans outfits..